Nine months later, Cara's mother decides a Swiss boarding school will be the fresh start Cara needs. Up in the Alps, Cara's old life feels a million miles away. Nobody at Hope Hall knows her past - and she intends to keep it that way. Yet, as much as she keeps her distance, her new friends break down the walls she has so carefully built up - especially the offbeat, straight-talking Hector, who understands how she feels better than anyone. But the closer Cara grows to Hector, the more her old life slips away. 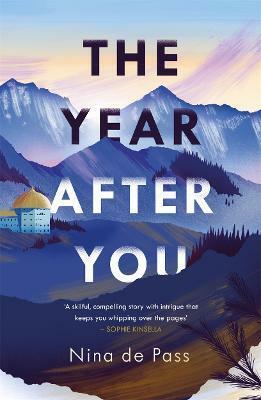 Nina de Pass started writing The Year After You, her first novel, while on a creative writing course at the Faber Academy. She has an MA in French and Spanish from the University of Edinburgh, and has lived in three other capital cities too - Madrid, Paris and London. Nina now lives and works in London.